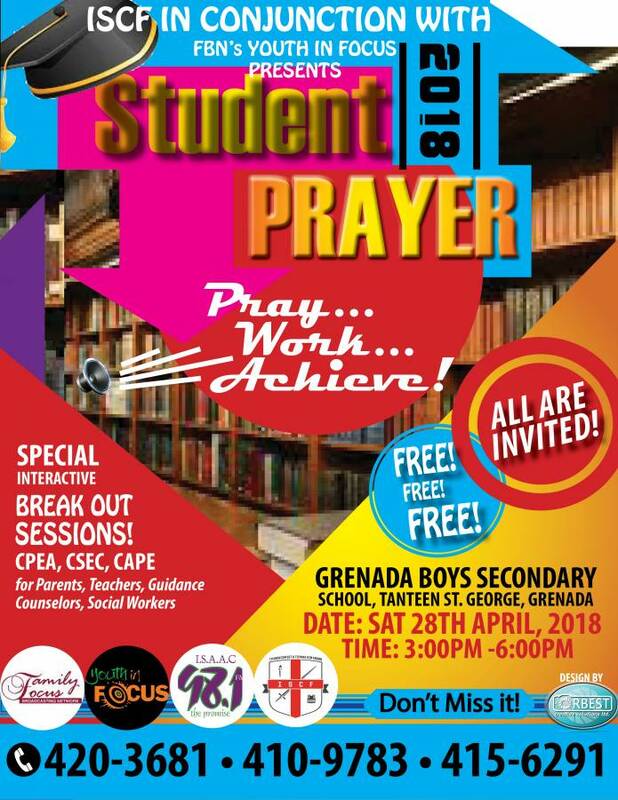 ISCF Grenada in conjunction with Youth in Focus (Trinidad) is hosting the first ever “Student Prayer” under the theme: Pray, Work, Achieve! 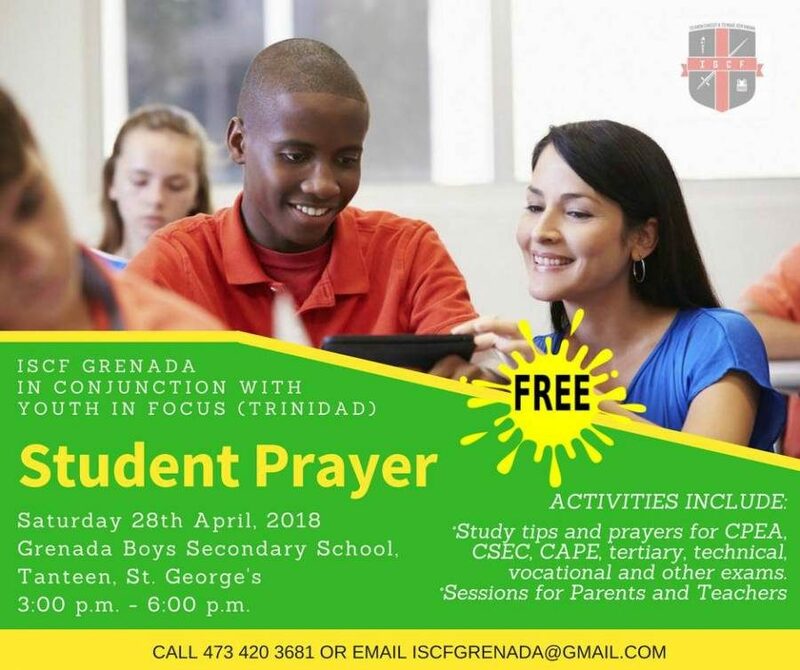 Student Prayer is a free event which will bring together people from different walks of life who are involved in education, holistic studying and personal development to advise on different methods of preparing for exams. Students will also receive spiritual support through prayer at this event. This event caters for students sitting various exams such as Caribbean Primary Exit Assessment (CPEA); Caribbean Secondary Education Certificate (CSEC) exams; Caribbean Advanced Proficiency Examinations (CAPE); technical and vocational exams and other exams. It will be held on Saturday, 28 April 2017 at the GBSS Auditorium from 3 pm to 6 pm and will include break-out sessions for students, parents, teachers and performances by local gospel acts.